Calling All Superheroes...Double Your Impact Today! Temperatures continue to stay high following a weekend of record-breaking 118 degrees in Phoenix. 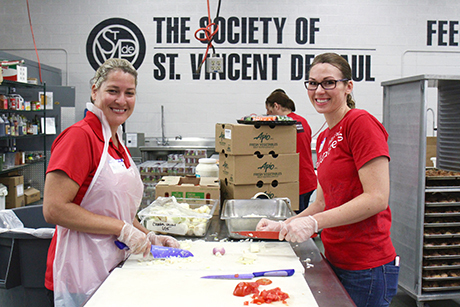 In the midst of this weather crisis, St. Vincent de Paul is providing a two-pronged approach: urgent help for people suffering on the streets as well as compassionate support for those on the brink of homelessness. Our heat relief outreach truck has been on the streets seven days a week, bringing food, water and resources to those without a home and exposed to the brutal heat. Our dining rooms extended their hours to provide afternoon and emergency overnight shelter. Assessments, referrals, food and financial help are provided to families struggling to buy groceries, pay rent and high utility bills in the midst of soaring temperatures. Many times, our help is the only thing keeping families housed and stable. However, we can't do all of this alone. We asked for help and the community responded! 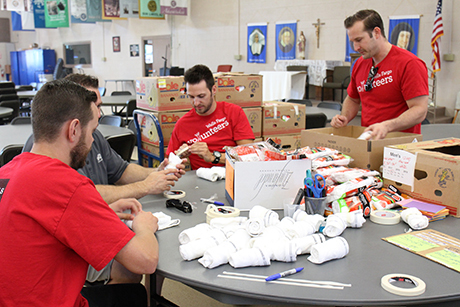 Wells Fargo employees took action by volunteering at St. Vincent de Paul locations throughout the day on June 21. And CBS 5 hosted an all-day phone bank to support our Summer Action Hero Campaign. 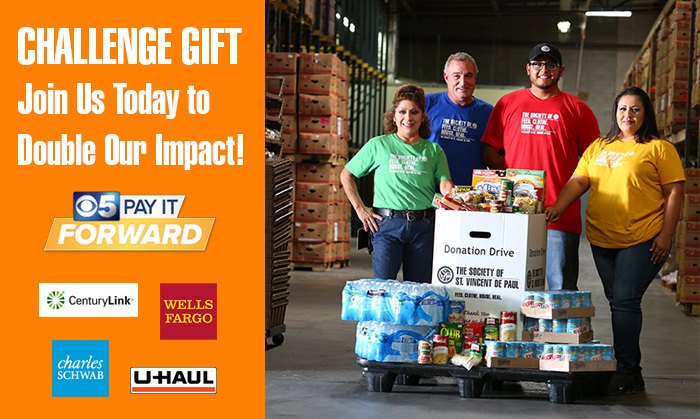 We're excited to announce that thanks to generous support from corporate partners and a private donor who collectively gave a challenge gift of $38,000, your matching gift can double our impact this summer until June 29! Join us and be a hero to someone in need!